A selection of work from the 40 pieces in The Modernism Project will be on view in the Back Room Gallery for July. An accompanying booklet with biographical information for each woman portrayed will be available to view with the works. 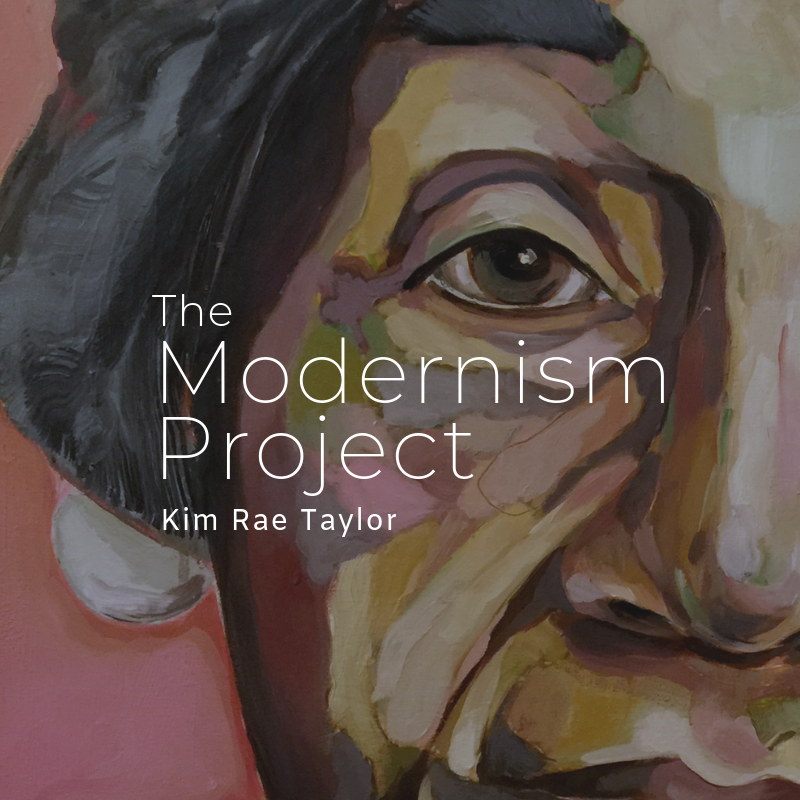 Artist Kim Rae Taylor painted a series of portraits documenting the female artists, writers, poets, performers, and art patrons of all types who helped shape Modernism. Women were an integral part of the avant-garde during the early decades of the twentieth century, making significant contributions to modern art and literature. The portraits capture some of these women in their later years since many lived long and productive lives. As an ongoing series, the paintings serve as a visual extension of Taylor’s research of the women of the modern era, examining the broad scope of their careers within the context of gender and aging. Though the paintings do capture the women as they looked late in life, the supporting material that displays alongside the paintings features photos of each subject and short biographical information about their lives. My primary objective in creating the portraits is to raise awareness of the women and the significant contributions they made during a pivotal period in the arts. continuum to more effectively appreciate the totality of their cultural contributions.